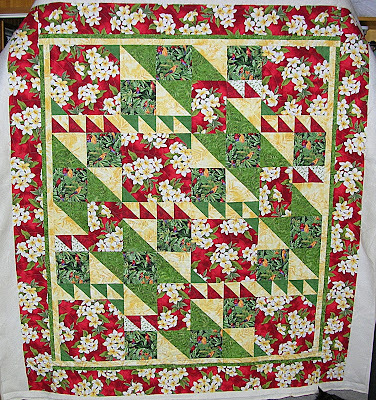 These are pictures of a customer quilt that I just finished. 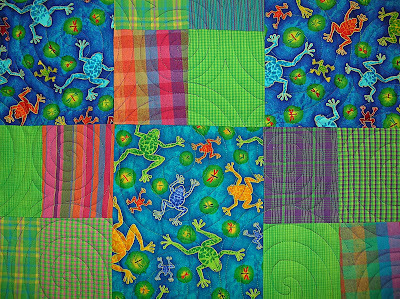 It is called African Coins. 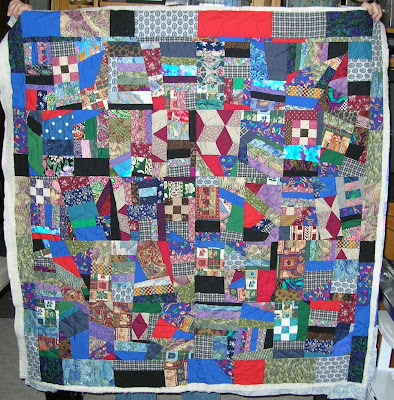 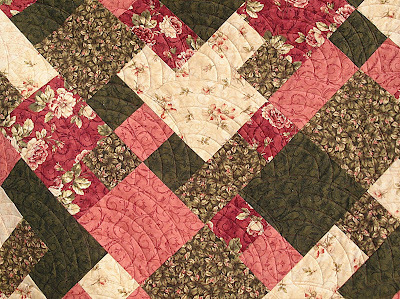 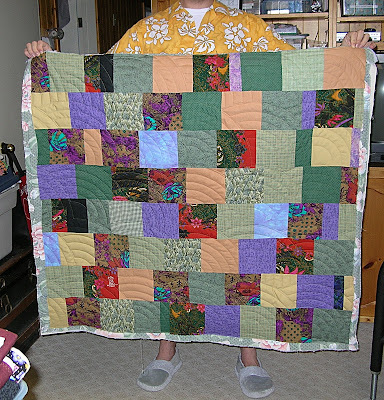 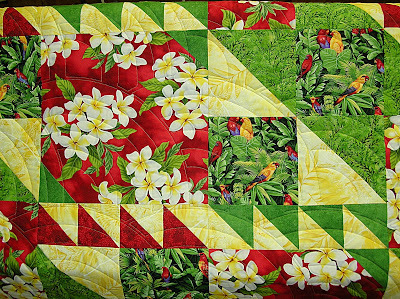 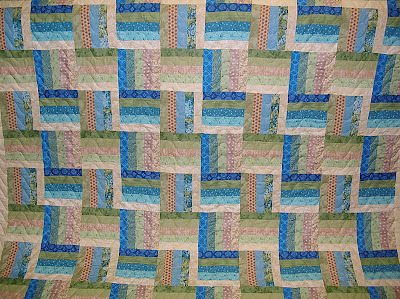 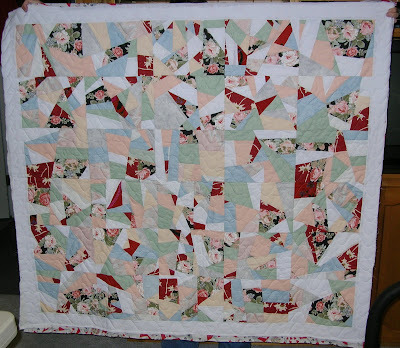 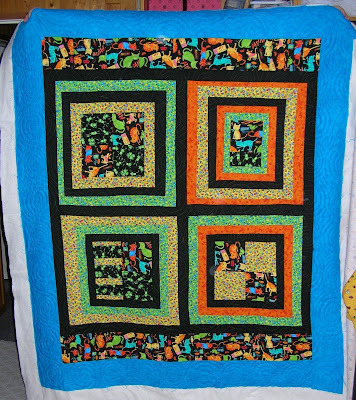 The fabrics in this quilt really make the quilt. 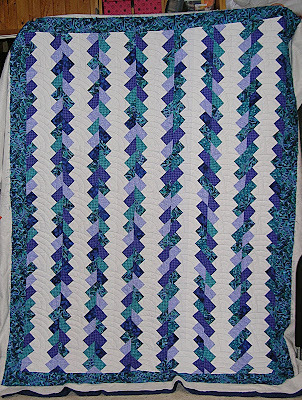 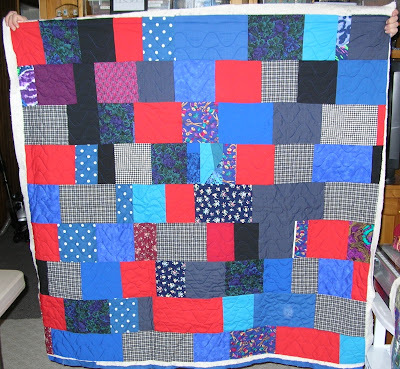 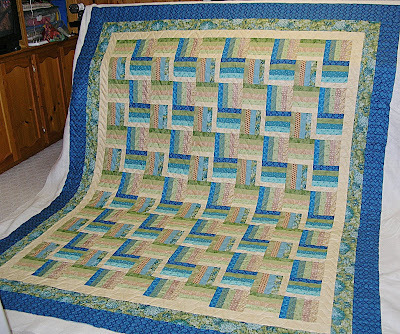 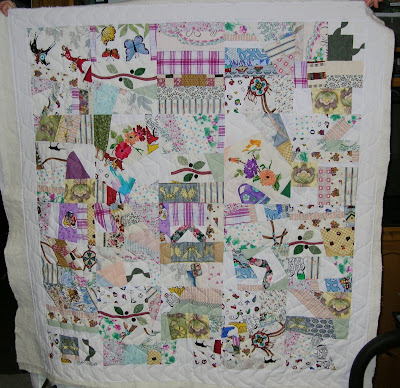 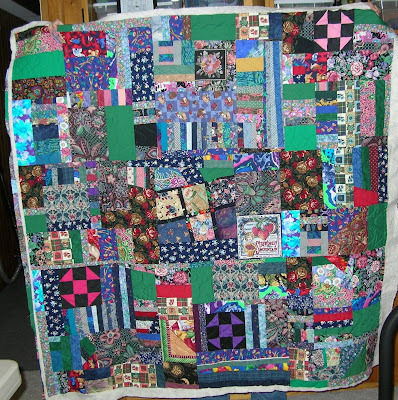 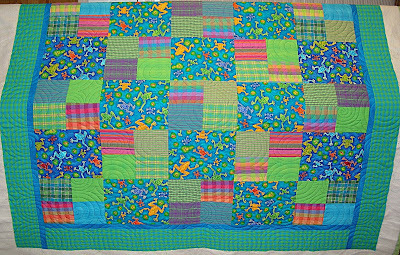 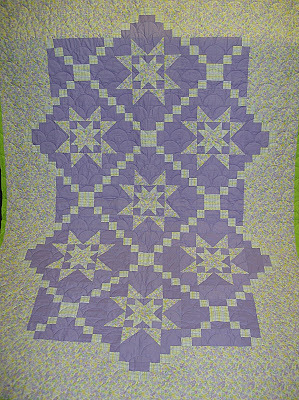 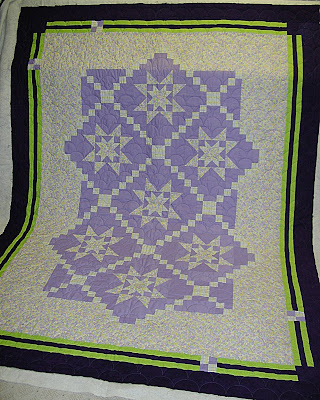 This quilt was quilted with my Zig Zag template on the coloured fabrics and the Wave template on the black and white fabrics. 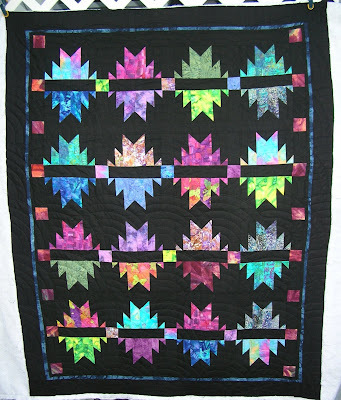 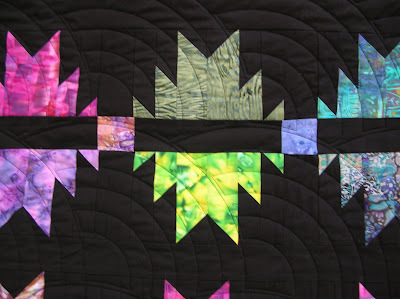 There were lots of thread changes on this quilt with King Tut variegated thread called Pharaoh’s Treasures on the coloured fabrics and So Fine Charcoal on the black and white fabrics. 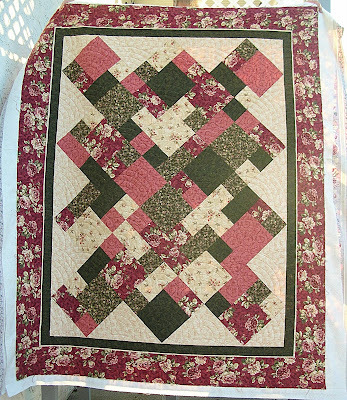 The back of this quilt was brown flannel which combined with the Hobbs Heirloom batting makes for a quilt high on the cuddle factor scale!